Get your gator style fix going with these jaw dropping blue and sky blue color dress shoes from Giorgio Brutini. Style is a about the game and you need to be a player in game of style. 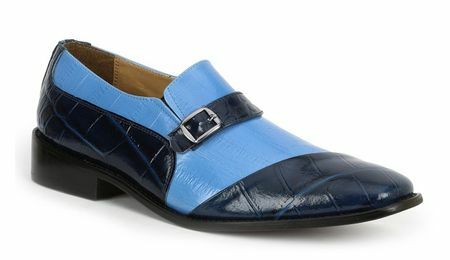 These blue two tone shoes feature Italian styling and have a gator texture style that will make your blue suit go pop.